Global Education and Skills Forum (GESF) is an annual conference that brings together leaders and from the public, private and social sectors around the world to discuss the ways to achieve education, employment and equity for all. It is a platform for building collaboration with world-renown experts and leaders in transforming education and finding solutions to global issues. 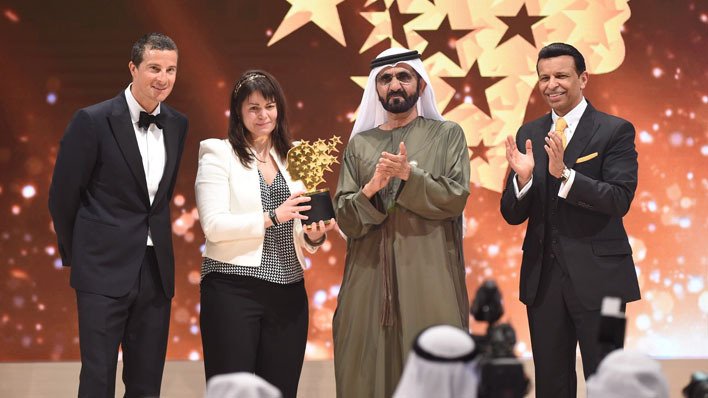 The forum provides the Global Teacher Prize, honoring outstanding educators for their exemplary leadership and groundbreaking work that has effected a lasting social change with their students and communities around them. This year, the Global Education & Skills Forum took place on 18-19 March in Dubai, the United Arab Emirates. The winner of 2017 is Maggie McDonnell, a teacher working in a remote village in the Canadian Arctic. She has established a Life Skills programme, which successfully combats a high female drop-out rate at a local community. The topic of this year’s forum has been “How do we make ‘real’ global citizens?”. In line with Forum’s agenda of global citizenship, UNESCO has been executing a Global Citizenship Education approach as a part of its Education programme of 2014-2021. Global Citizenship Education (GCED) aims to empower learners from all over the world to assume active roles in facing and resolving global challenges and become proactive contributors to a more peaceful, tolerant, inclusive and secure world. Watch the full debate “ Is the rise of populism the result of a failure of education?”. Is the rise of populism is the result of the failure of education from Global Education & Skills Forum on Vimeo. In cooperation with governments and various partners, UNESCO conducts projects on Education for Sustainable Development and Global Citizenship Education, including teacher training and research, in order to provide skills for the 21st century in Central Asia. 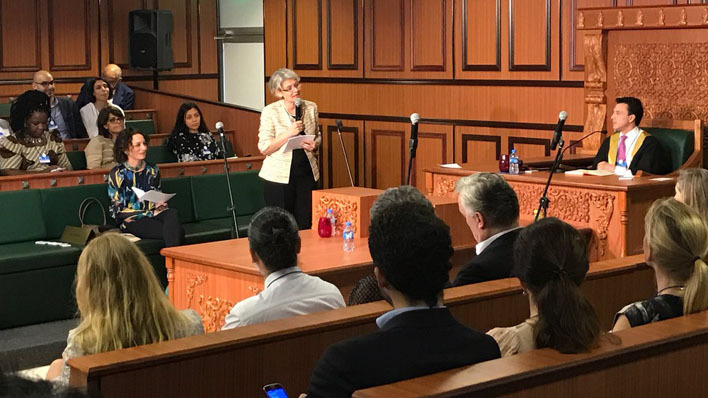 Lina Benete, the Head of Education unit at UNESCO Almaty Cluster Office, shares a written piece on global citizenship education after the forum in Dubai. According to the article, the task of today is to integrate non-cognitive skills and global citizenship competencies into the education system. The provision of pedagogical and study support for the advancement of global citizenship skills will provide the innovative academic and extra-curricular learning of young generation to succeed in the 21st century. Read Lina Benete’s article on Mainstreaming Education for Global Citizenship prepared for GESF 2017.